Send the right message by using digital signage over paper and posters to communicate to employees, students, and visitors. Look like a design pro in just minutes. 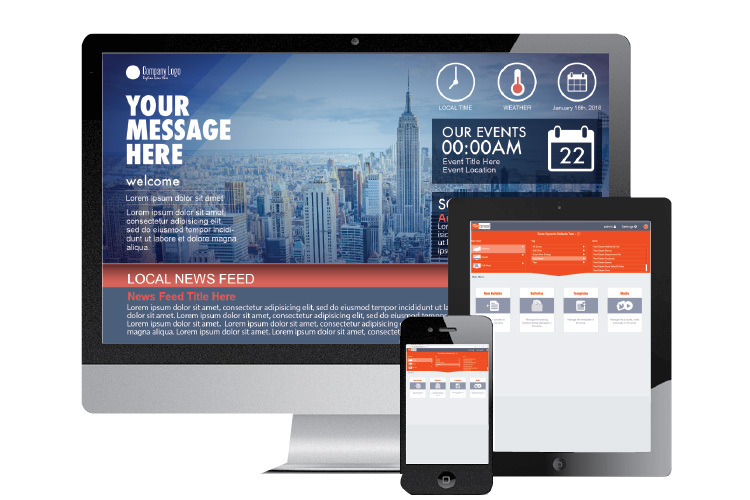 Easily create messages using templates to maintain company branding, or use your own existing marketing materials. Add formatted text along with images, video, flash and sound from various media formats and apply built-in effects and transitions. 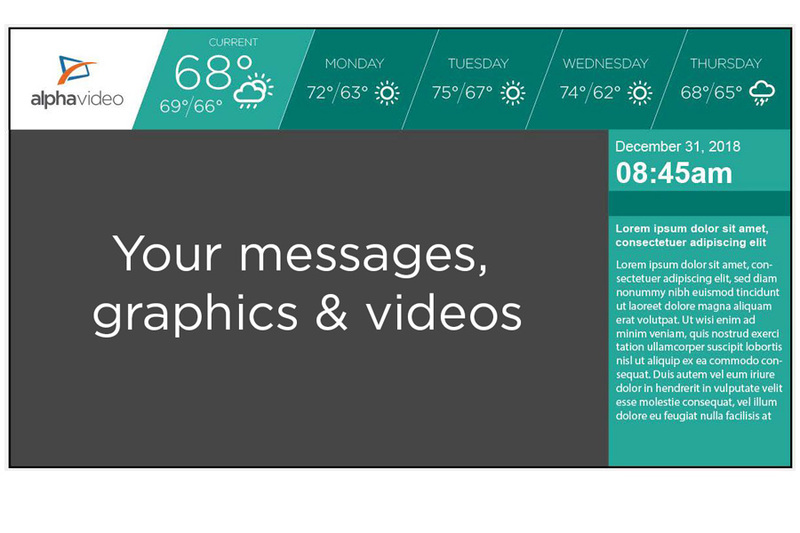 Alpha Video offers enhanced template packages that integrate live news feeds, weather, social media, and more. Plan and manage your content using simple playlists. Organize your content according to file type, categories and metadata. 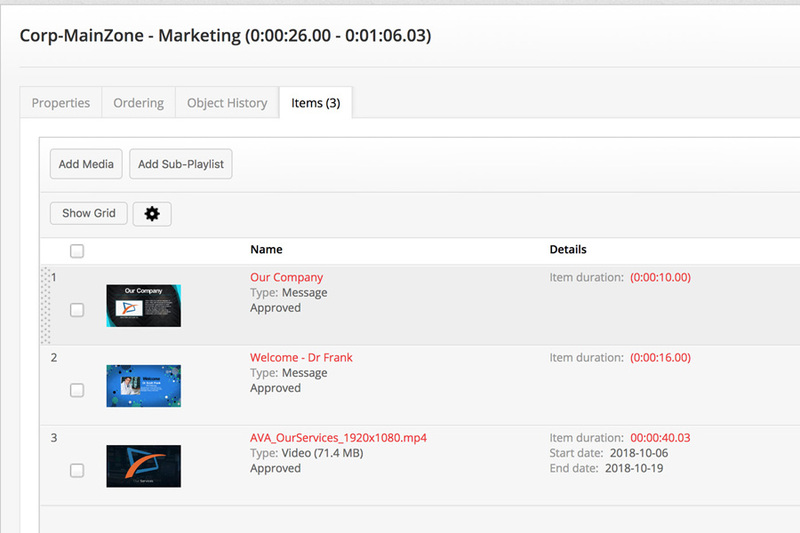 Create dynamic playlists using scripts, messages, videos, flash or static images. Delegate users to update content using consent-based user roles and network control options, making the management of your network easier. Centrally manage and deploy your content to hundreds or even thousands of digital displays via any web browser. Play your content on any screen with smooth, reliable and uninterrupted content playback at a variety of resolutions and orientations. Update content without interruption and monitor the system in real time. Alpha Video provides a variety of hardware options for playback including set-top boxes, Smart TVs, and using mobile devices.